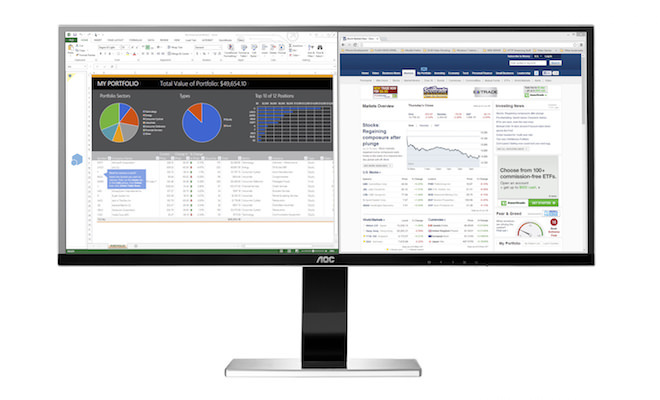 AOC today announced the 34-inch Ultra-Wide Quad HD monitor (U3477PQU) for $900. 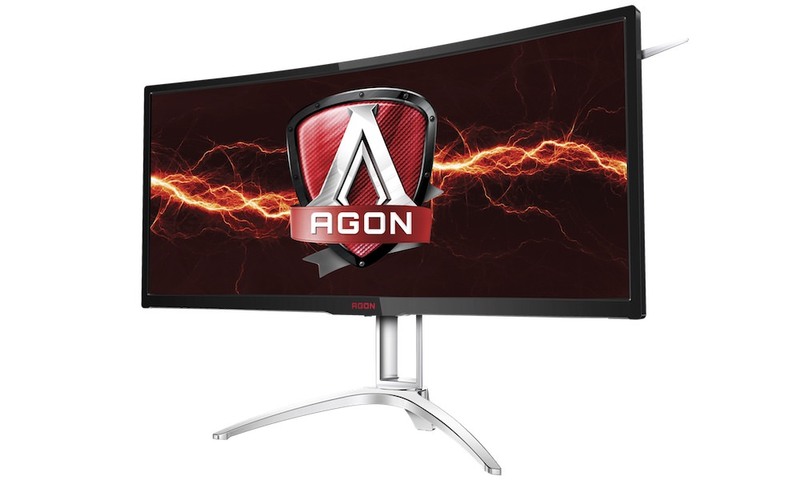 This 21:9 display offers uwQHD 3440 x 1440 resolution for gorgeous detail and more room to get work done with a pixel area that is 2.4 times larger than a Full HD monitor and equivalent to two 20” displays side by side. Built-in 7-watt speakers and 1.07 billion colors complete the cinematic experience, while the extra space lets you split your screen into multiple panes for increased efficiency. The massive display comes complete with a 4-way adjustable stand to make it easy to maneuver for maximum working comfort. 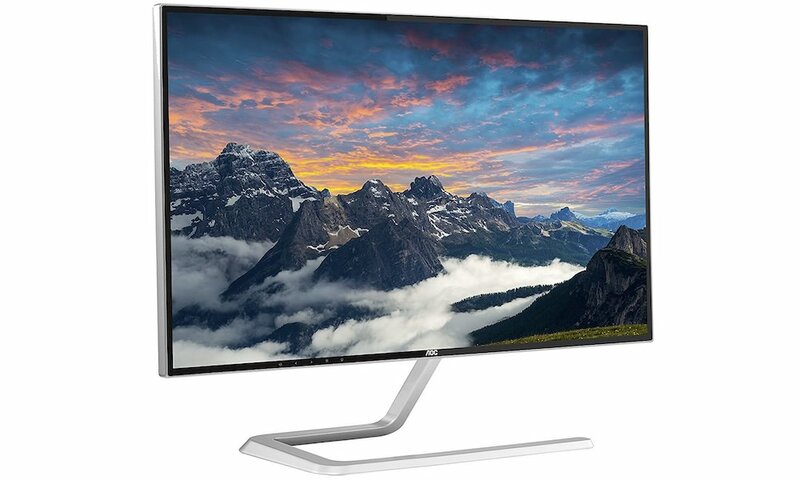 IPS technology offers extended range for brilliant and consistent color, and wide viewing angles for natural transitions between hues delivering exceptional realism. 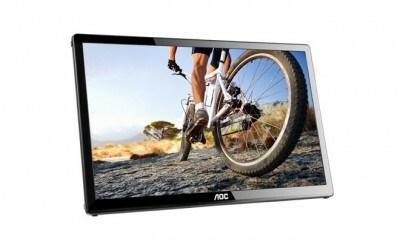 The display also includes picture-by-picture mode, which is ideal for displaying two sources of content on the same screen, while picture-in-picture is optimized for video chat. 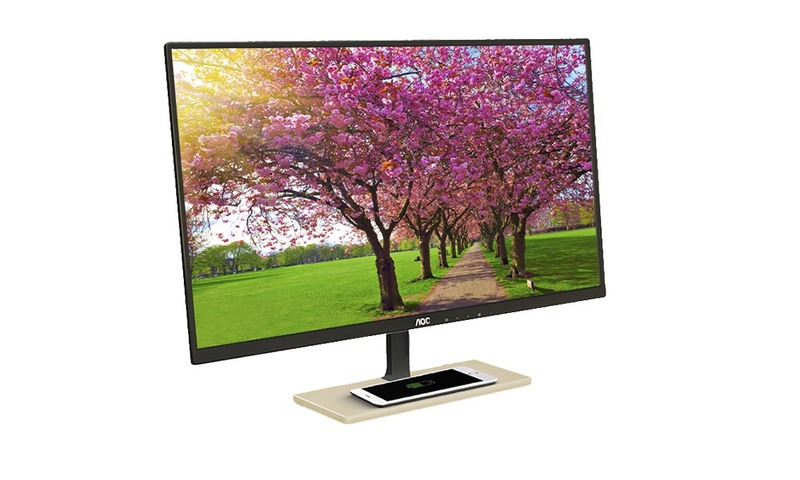 The display comes equipped with a wide range of connectivity options, including DisplayPort 1.2, HDMI and MHL to easily connect to devices, peripherals, smartphones and even a second computer. 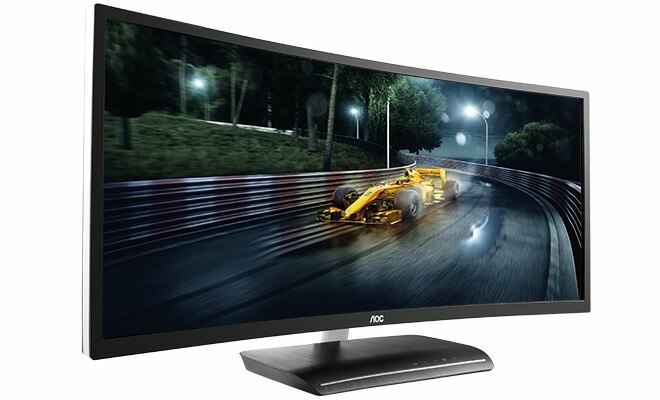 The uwQHD monitor also comes with AOC’s Flicker-Free technology to reduce eyestrain commonly caused by pulsed backlight control. Surveillance and monitoring centers will appreciate the inclusion of RS-232 for remote control, which displays up to 16 video streams simultaneously at high quality with compatible systems. 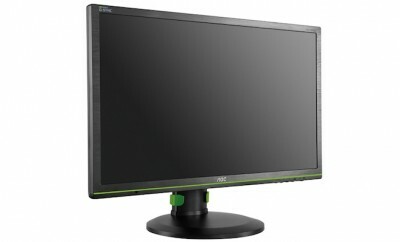 The AOC U3477PQU 34-inch uwQHD monitor will be available December 8th at BestBuy.com and Amazon.com for $899.